There were those from among the returnees, who came for a short time only. They found none of their relatives left, strange people lived in their houses and homes. They went to other towns to study, emigrated to USA, or Palestine. Some of home-comers changed their names, they tried to assimilate, to merge with inhabitants round them. Everyday life started. So started also endeavours to regain Jewish property, frequently accompanied by passion and hatred. Even if there had not been the question of restitutions, one could hardly expect, that antisemitism would vanished overnight. The great exodus of Polish Jewry, assisted, among others, by Jews from Zilina, passed through the territory of Slovakia. Zilina youth got ready for alia, created Hachshara, even Hamakabi Hatzair was here. First postwar plenary session of ZNO convened on 5 July 1945. “We must rebuild everything”, stressed Simon Goldenberg, the newly elected congregation secretary. This prewar Jewish school teacher had no idea, what domestic and foreign political hurdles would thwart the realization of his words. 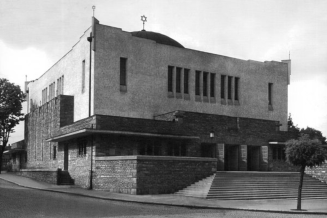 Financial situation of congregation was hazy, its management, in the first postwar days, extended helpful hand to co-religionists, kitchen was set up, and Joint contributions were distributed. Congregation counted about 100 members toward 1 August 1945, whereas Judaism was practised by about 500 people. Number of Jewish home-comers was estimated at almost 800. Slovakia, Zilina forming no exception, witnessed a merger of neological and orthodox congregations. More Jews went abroad in the latter part of the forties, leaving on the plenary session of ZNO only 26 members as of January 1949. ZNO was hit very hard in the fifties. Crusade against Zionists and Jewish citizens was at full swing. People were simply afraid, which led to frequent changes in the leadership of ZNO. Members resigned from their functions, left congregation. 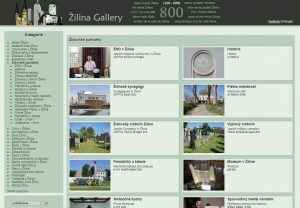 What did succeed, was the memorial to holocaust victims of Zilina in the Ceremonial Hall of the Jewish cemetery, unveiled in October 1952. In other respects, the congregation was dying out. Passive participation of members regarding its activities was very meagre. In 1957, Pavel Sendrei and his spouse were found guilty of collaboration with the Israeli Embassy. Contrary to the above, ZNO is in existence even nowadays. Only those, who have experienced the feeling know, how many pains, nerves, and often fruitless effort are needed, to negotiate with public and national enterprises about the most urgent repair work on Jewish objects in town. 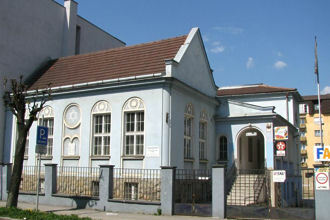 Only a handful of Jews is left in Vrutky, Martin, and Bytca, who became members of ZNO in Zilina. Their example has been followed by Jews in Cadca, Ruzomberok, and other cities. Last, extensive wave of emigration hit ZNO in Zilina in years 1968-69. It is true, that mainly assimilated Jews had left then, but who can tell, how the congregation would have developed after 1989, had they stayed. Consequently, state authorities claim in their reports, that congregation activity slackened to a great extent, that it is composed of superannuated members, whose only interest in life are burials on the Jewish cemetery. ZNO is standing on its last legs. However, changed post 1989 conditions actuated congregation activity. In the first place, buildings must be repaired. Cemetery is in desolate state, synagogue in Dlabacova ul. needs urgent attention, etc. Complicated legal matters must be solved. Passing away of congregation members continues. In 2007, there are only 40 members left, whose average age is 65 years. 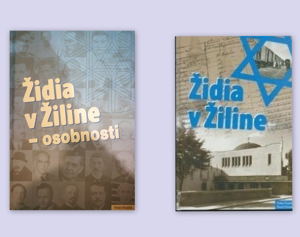 ZNO Zilina comprises also Jews from other cities in Slovakia. 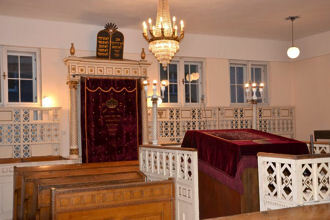 Momentous day is 29 June 1996, when permanent exhibition of Jewish culture was opened in the synagogue. Regular meetings of former Zilina inhabitants, scattered all over the world, commenced in the same year. These annual memorial meetings are attended by public and political dignitaries. President of SR himself, Ivan Gasparovic, unveiled in 2005 the memorial, built in the place, where Zilina concentration centre once stood.